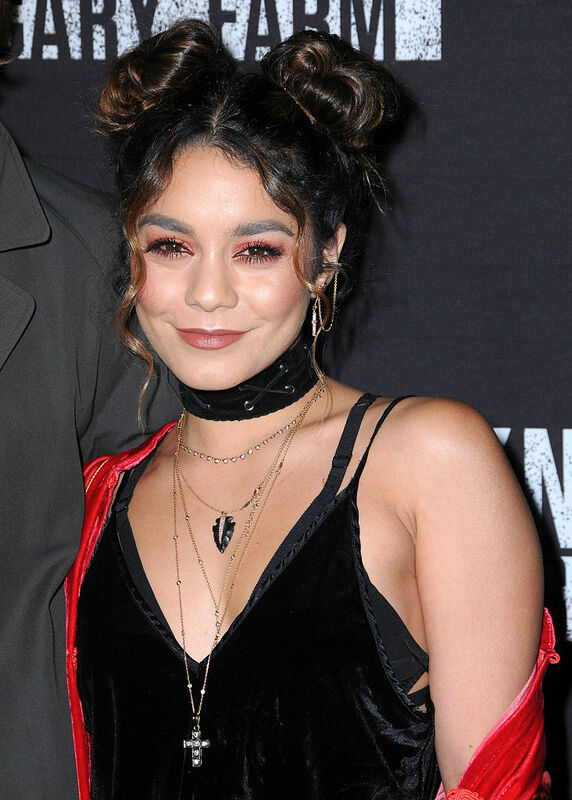 Vanessa Hudgens attended the opening of Knott’s Scary Farm, the scary, Halloween-themed version of Knott’s Berry Farm, this weekend, and she was definitely getting into the Halloween spirit. While Vanessa didn’t wear a costume, she definitely took a little spooky inspiration from the occasion, and her outfit makes her look totally bewitching. 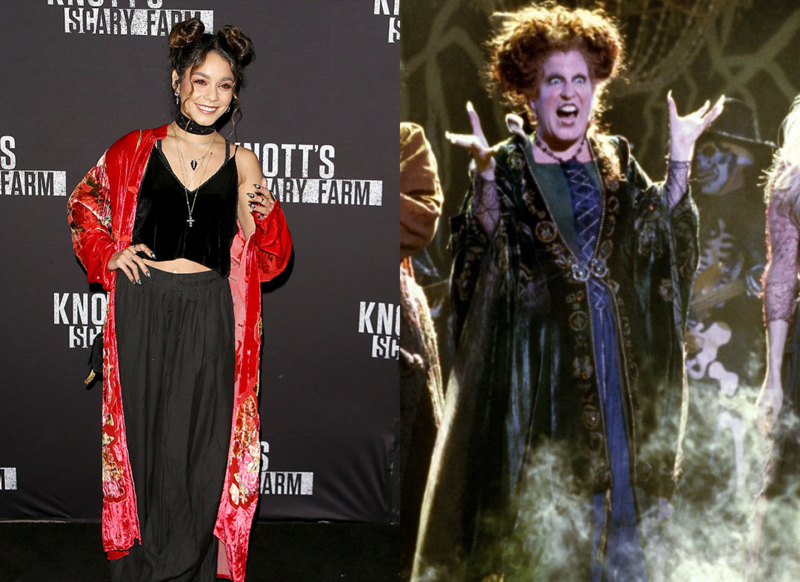 Vanessa Hudgens looks like a modern Sanderson Sister from Hocus Pocus, and she’s putting a spell on us. Vanessa’s black velvet top and black skirt give us totally witchy vibes, but the peekaboo of skin above the crop top keeps the look totally now. The sweeping kimono jacket adds to the sorceress look, but it’s still definitely got a modern flare. Vanessa’s look is totally channeling Bette Midler’s character Winifred from Hocus Pocus. While Winifred is in green and Vanessa’s in red, they both have this kind of medieval look with the simple dress underneath with an elaborate overdress or tunic. Vanessa’s little buns also totally remind us of Winifred’s sky-high ‘do. And can we talk about Vanessa’s pointy, Winifred-inspired, witchy nails? Vanessa’s layered necklaces and dramatic makeup add to her spellbinding look. And as we mentioned, those double buns definitely give us a little bit of a Winifred or even Maleficent vibe, but they’re still soft and fun. And she attended the the event with her BF Austin Butler, and the couple looks wickedly good together. Austin’s extra-long jacket and Dracula-esque popped collar totally fits with Vanessa’s modern Hocus Pocus vibe. We hope they had a scary good time!